All the stats and facts from the 50th match of IPL 2018 between Mumbai Indians and Kings XI Punjab. 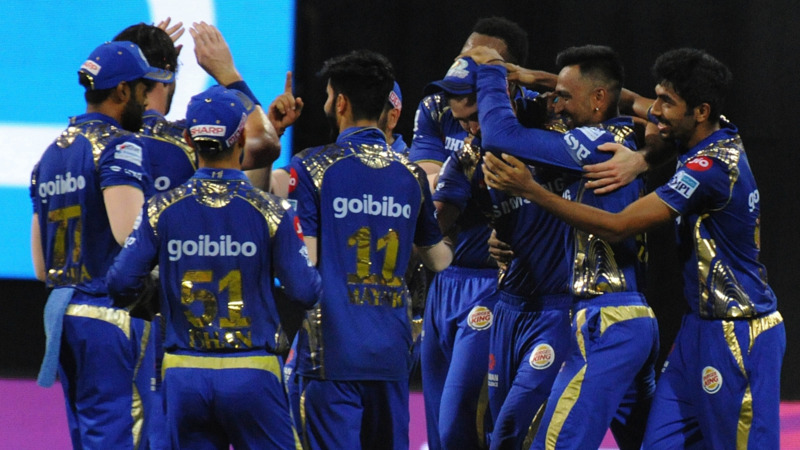 Defending champions Mumbai Indians beat King XI Punjab by 3 runs in a must-win encounter at the Wankhede Stadium, Mumbai and kept their hopes of playoffs alive. With this win, Mumbai Indians jumped to the fourth place in the points table. On the other hand, Kings XI Punjab suffered their fourth consecutive loss and slipped to sixth place in the standings. Kings XI Punjab after winning the toss and opting to field first, restricted Mumbai Indians to 186/8. 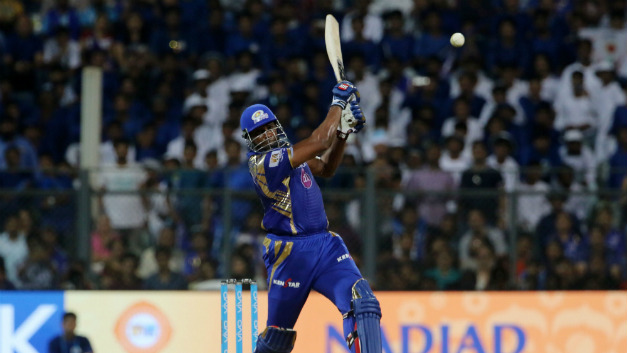 Kieron Pollard scored 50 runs for 23 balls for MI, while Andrew Tye took 4 wickets for KXIP. In the chase, at one stage KXIP were 145/1 in 16 overs and needed 42 runs off 24 balls; but after the dismissals of Aaron Finch (46) and KL Rahul (94), the team lost the track and fell short of target by 4 runs. 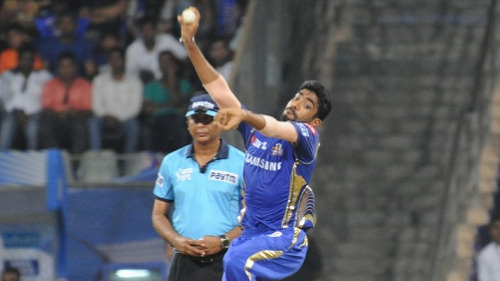 Jasprit Bumrah took 3/15 for MI. 2 - Number of times KL Rahul has ended on the losing side despite scoring 90 plus in a chase - the only batsman to score two 90s in an unsuccessful chase. Earlier this season he scored 95* against RR and now 94 against MI. 3 - Andrew Tye has taken three four-wicket hauls in IPL 2018 - the most by any bowler in a single season of IPL. 4 - Number of four-wicket hauls taken by Andrew Tye in IPL - the joint third most by a bowler in IPL history. Sunil Narine (7) and Lasith Malinga (5) are ahead of him and equaled Laxmipati Balaji (4). 9 - KL Rahul became the 9th player to score 600 or more runs in an IPL season after Virat Kohli, Chris Gayle, David Warner, AB de Villiers, Robin Uthappa, Shaun Marsh, Sachin Tendulkar and Michael Hussey. 32 - Number of sixes hit by KL Rahul in IPL 2018 - the most by any player and he also became the third Indian to hit 30 or more sixes in an IPL season after Virat Kohli (38 sixes in 2016) and Rishabh Pant (31 sixes in 2018). 482 - Runs scored by KL Rahul while batting second in IPL 2018 - the most by a batsman in second batting. He went past David Warner (468 runs in 2016). 500 - Runs scored by Suryakumar Yadav in IPL 2018 - the first and only uncapped Indian batsman to score 500 runs in a single season of IPL. 652 - KL Rahul has scored 652 runs in IPL 2018 - the most by a KXIP player in an IPL season. The previous record was held by Shaun Marsh (616 runs in 2008).